Take a moment and consider a hypothetical business. Your task is to create a marketing campaign that will put this business on the map. What do you do? Unless you have been living under a rock for the past 30 years, one of the most important considerations outside retooling the operations of the business itself will be online marketing. 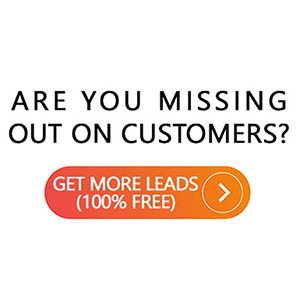 Without online marketing, you put your company at a severe disadvantage. In fact, in today’s digital age, it is pretty much impossible to compete with your competition regardless of the services or products you offer and the city you are located in, large or small. We all know that online marketing is important. The problem is that many people do not know how to effectively target their online marketing campaign in a way that it benefits their business. While a disadvantage of online marketing is its complexity, it can also be its advantage as well. Having the assistance of a company that can effectively target online will give you and your business an incredible advantage. This is especially true when it comes to optimizing your ranking in search engines. Google, Bing, and Yahoo are three of the most popular search engines, and improving your ranking with them will help you out dramatically. Let’s take a moment to look at Google reviews in particular. We will look at how Google reviews work and why you should target Google in particular. We will also look at how working with a 3rd party company can help you do this. Google has a lion’s share of all online searches both within the United States and worldwide. Google reviews are used by millions of people to figure out where they are going to go. It is no secret that the majority of searches for companies are now done online. Without having a high ranking or profile through Google, you put your company at a disadvantage versus the competition. Don’t let this happen to you. How Do Google Reviews Work? 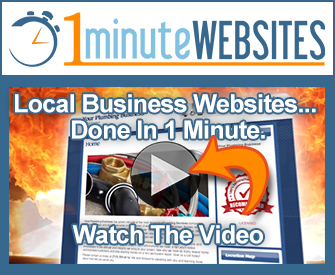 Google has vast internalized lists of local businesses for any area. Functioning as its own Yellow Pages, Google organizes all of this information and then ranks it. You see, search engines like Google split their rankings between search results targeting local businesses and search result targeting everything. As a result, if you say type in pizza into a Google result, the first thing that will pop up is a map of where you are, and all the places that have ‘pizza’ around you. If you run a pizza company, then the first place you will want on the list is your own. As the vast majority of people go with the first choice on the list, you have a lot to gain by focusing your company on Google reviews. How Can Digital Marketing Companies Aid In Improving My Google Reviews? They can help in a number of ways. First, look at the nature of your website and online presence as it is. These companies rework how everything is set up so that it is optimally efficient for how Google operates when generating reviews. They will remove limitations created by owner and or webmaster ‘mistakes’ and replace them with more effective means of communication between Google reviews and your website. You will also want them to focus on cross platform functionality. Meaning, whether a person is using a desktop, a laptop, or a portable electronic device, they will ensure that all operations are efficient, load quickly, and are optimized for Google reviews and ranking while ensuring a amazing customer experience. This proves to be a far more direct and less technically confusing way to approach Google reviews than with search engine optimization and is exactly what your company needs to stay relevant into the 21st century.